Today, when you order "Rants 2 by Kenton Knepper - Book", you'll instantly be emailed a Penguin Magic gift certificate. You can spend it on anything you like at Penguin, just like cash. Just complete your order as normal, and within seconds you'll get an email with your gift certificate. The much anticipated sequel to "Rants Into Raves" is finally here! 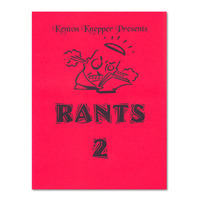 Rants 2 is everything its predecessor was and more. 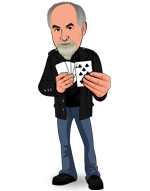 When you are done reading this manuscript, you will have a much greater understanding of yourself as a mystery performer. Your strengths and weaknesses will be exposed, and through this self exploration, you will come out a better performer.